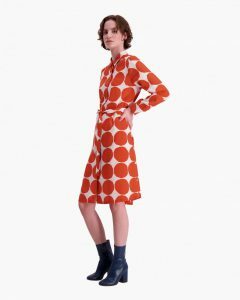 Marimekko – Tunne Auringon alla dress. Marimekko always have nice prints with their own dna. Like a painter where you can recognise their paintings. 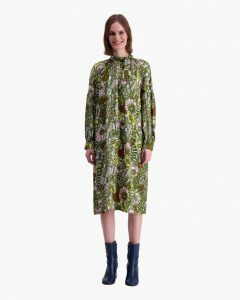 The Tunne dress is made of a viscose and silk blend and decorated with the Auringon alla pattern in shades of light turquoise, green and brown. 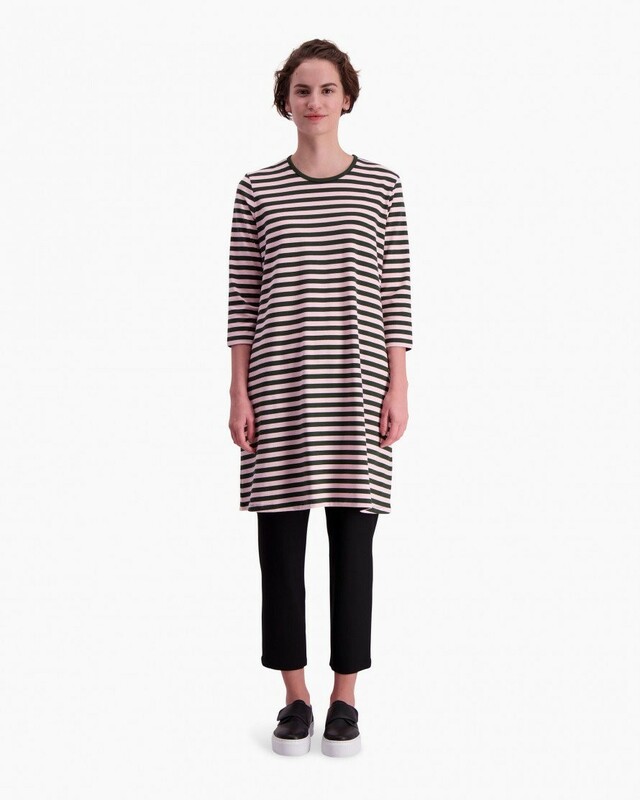 The dress has long sleeves that have two parts: the top part is a raglan sleeve, while the bottom part is a voluminous gathered sleeve with double-buttoned cuffs. The sleeve is divided in two by a horizontal seam below the chestline. 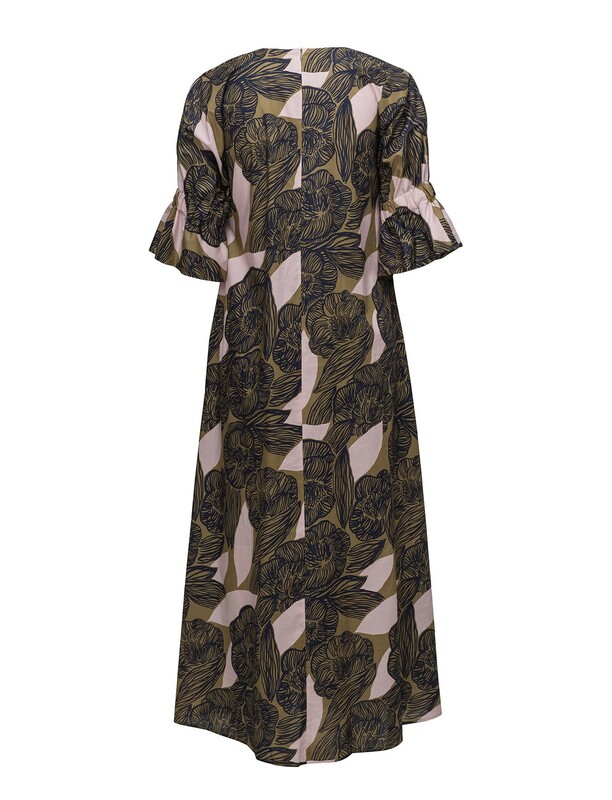 The dress has a gathered neckline and a beautiful scarf collar that can be tied into a bow. On the left side of the neckline there is also a slit and hook closure, which is covered by the scarf. 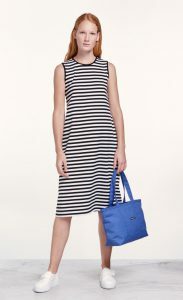 The dress has a slightly widening loose cut to the hemline below the knee. Height of model (cm): 180. Size the model is wearing: M/38. Length of product in size M/38: 110.00 cm. Main Material: 93 % Viscose 7 % Silk. Pattern: Auringon alla. Pattern Designer: Maija Louekari. Color: l.turquose, green, brown. Made in: Lithuania. Product code: 046757. Color ID: 768. 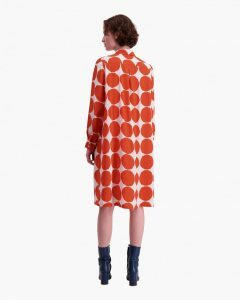 Marimekko – Bettina Pienet Kivet dress. 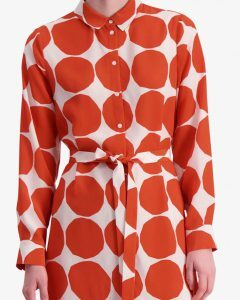 I am a huge Marimekko fan and I have some Marimekko items in my wardrobe that I love. I would like to add this. 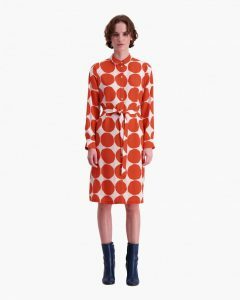 The Bettina dress is a classic button-up dress, which is made of lightly flowing silk in the orange and white Pienet Kivet pattern. 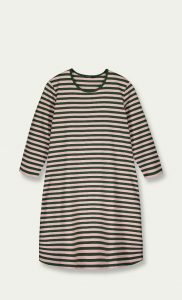 The dress has a button list along the front, a detachable belt, long sleeves with wide cuffs and an A-line hem that ends at the knee. 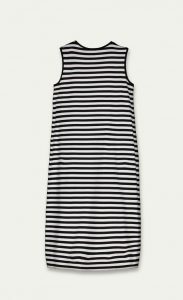 The back of the dress features a yoke seam and a pleat. Fitting: Normal Fit. Height Of Model (cm): 178. 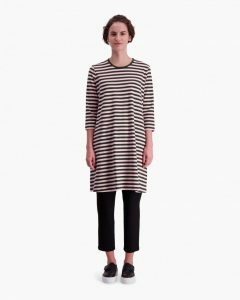 Size the model is wearing: M/38. 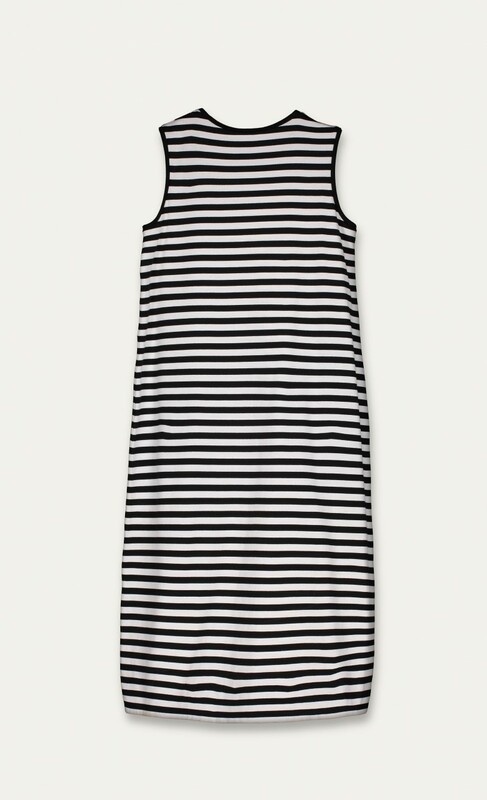 Length of product in size M/38: 105.00 cm. Main Material: 100 % Silk. Pattern: Pienet kivet. Pattern Designer: Maija ja Kristina Isola. Color: orange, white. Product code: 046938. Color ID: 130. Marimekko – Mini Perukassi 2 bag. Who doesn’t always need an extra bag? 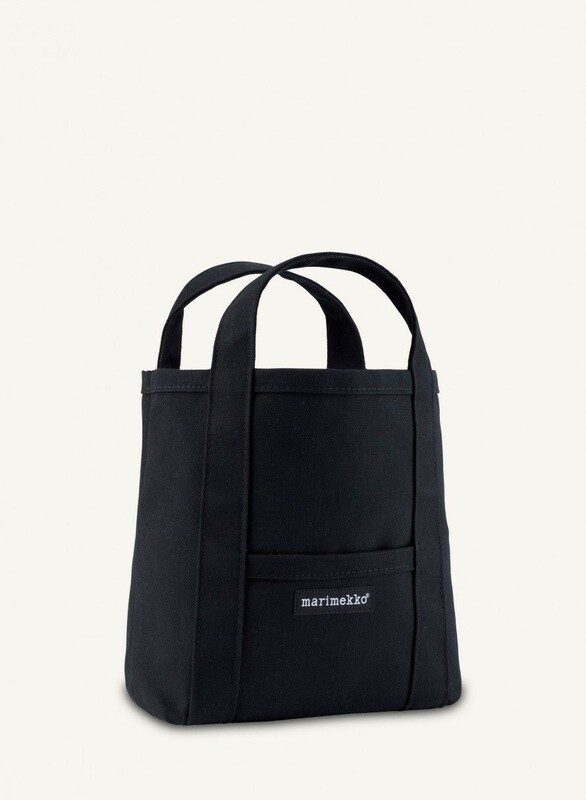 The Raide handbag is made of black heavyweight cotton canvas. 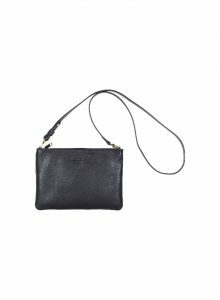 It has two sturdy handles, a small pocket in front and an extra handle on the backside. Width: 21.00 cm. Height: 22.50 cm. Main Material: 100% cotton. 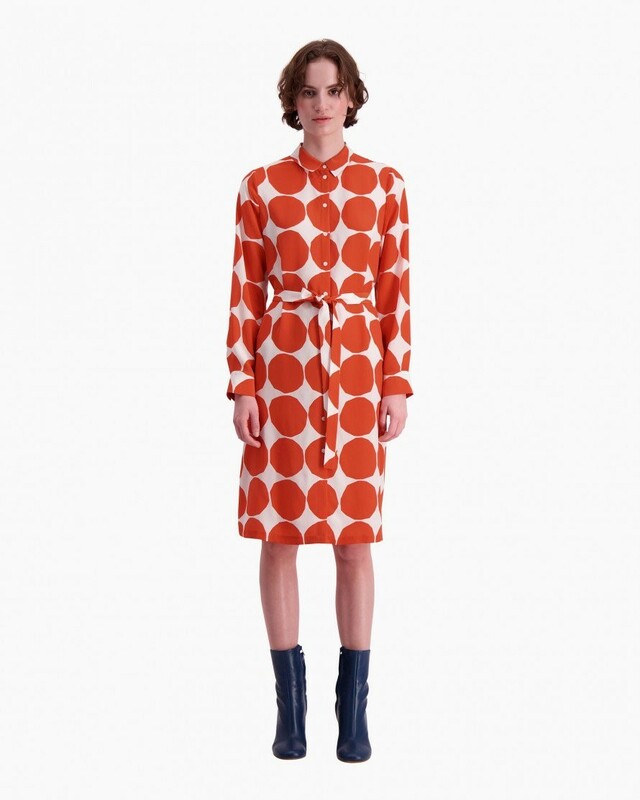 Designer: Marimekko. Color: black. Made in: Estonia. Product code: 044400. Color ID: 001. Series: Canvas bags. Depth: 13.00 cm. Marimekko – Juliaana Amur dress. 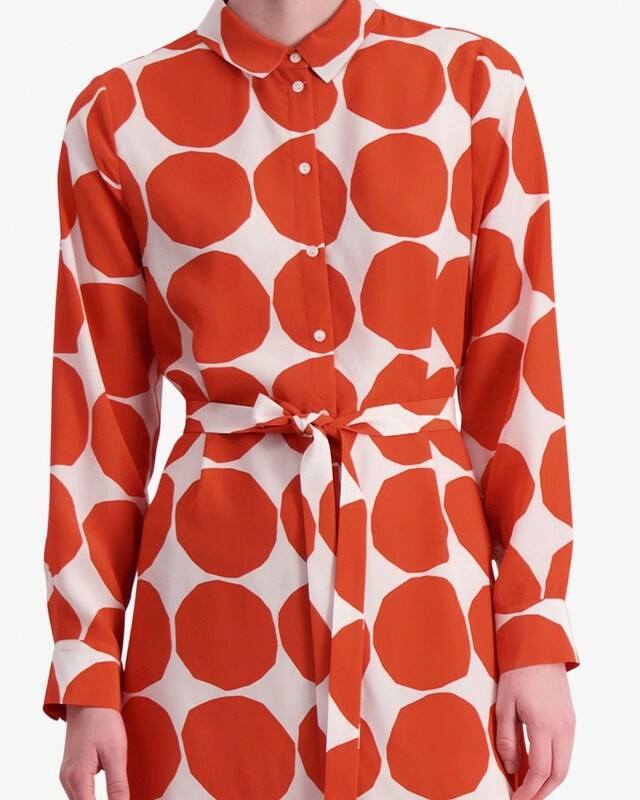 I am a big Marimekko fan. 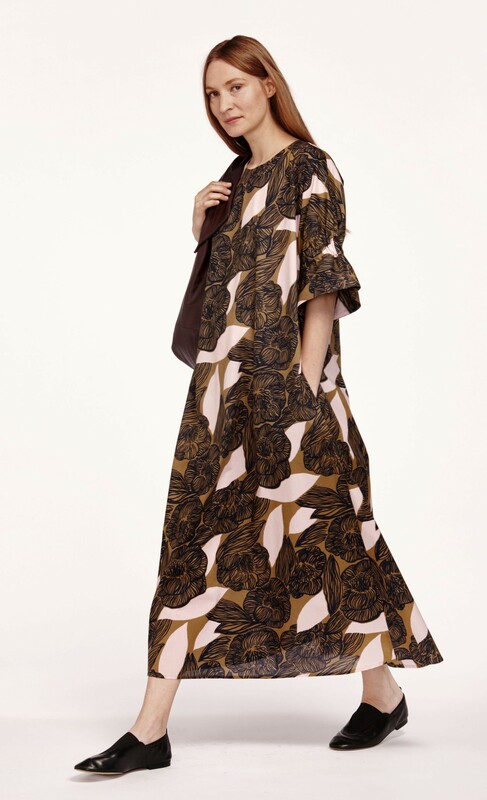 I love their beautiful and bold prints. 1950 dkk here and here. 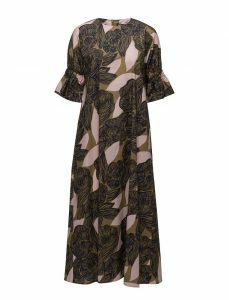 The Juliaana dress is made of cotton and decorated with the brown, peach and dark blue Amur pattern. 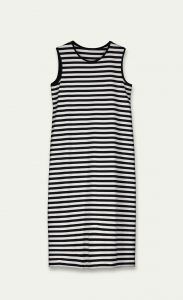 The dress has a round neckline, a concealed zipper at the back seam, side seam pockets and an A-line cut to the hemline above the ankle. The sleeves are three-quarter length and feature elastic band details that form a ruffle at the sleeve cuffs. Fitting: Normal Fit. Height Of Model (cm): 178. Size the model is wearing: 38. Length of product in size M/38: 135.00 cm. Main Material: 100 % Cotton. Pattern: Amur. 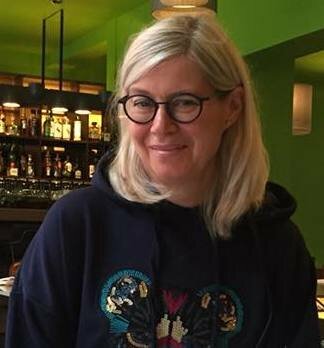 Pattern Designer: Aino-Maija Metsola. Color: brown, peach. Made in: Lithuania. Product code: 046287. Color ID: 635. Series: Amur woven. 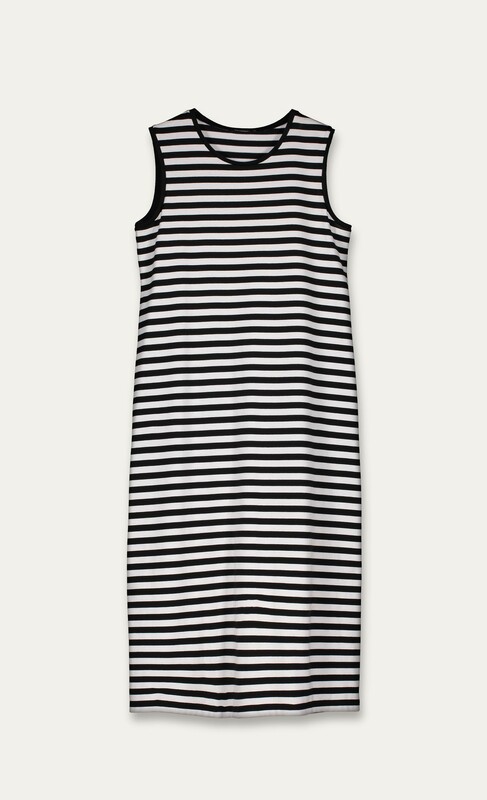 Marimekko – black and white striped Ahas dress. 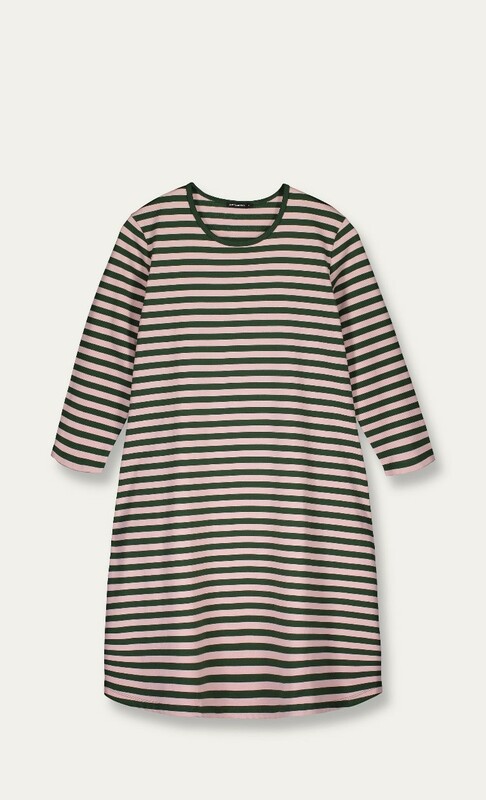 This striped dress is a classic and a good investment. Now on sale. 537 dkk (was 895 dkk) here. 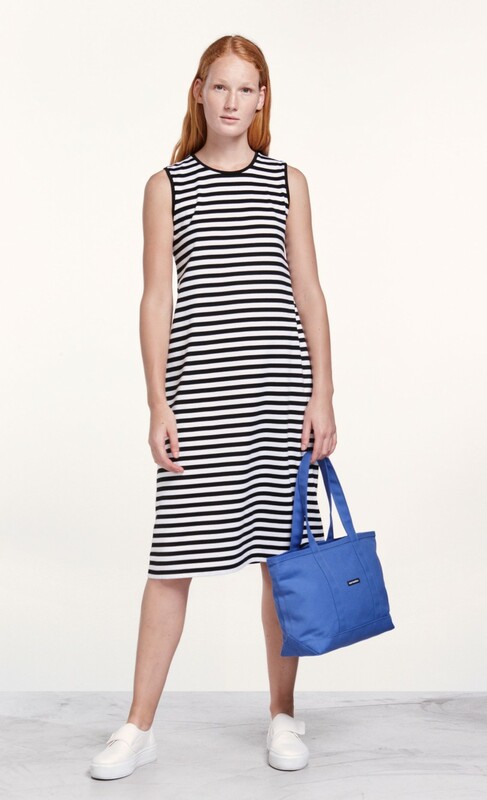 The sleeveless cotton jersey dress carries the classic Tasaraita pattern in black and white. 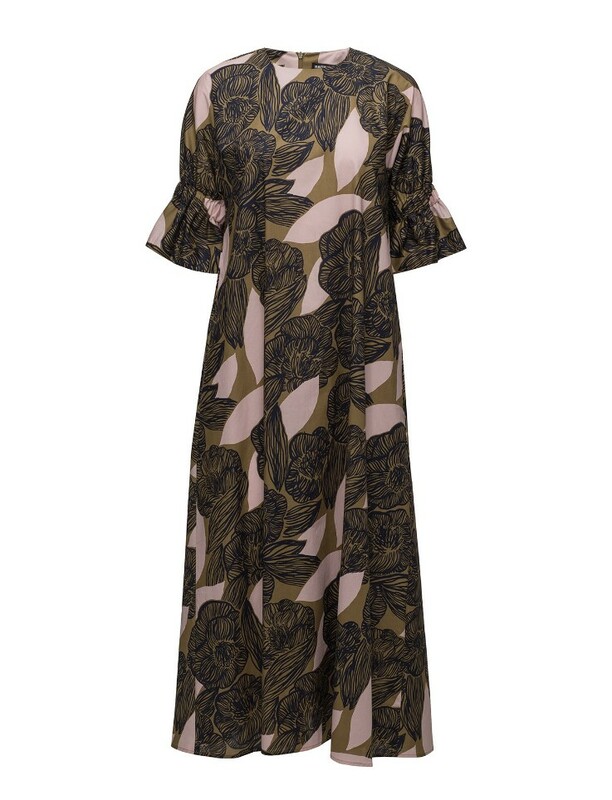 The dress has a slightly widening cut to the below-knee hemline and narrow bindings at the round neckline and sleeve openings. 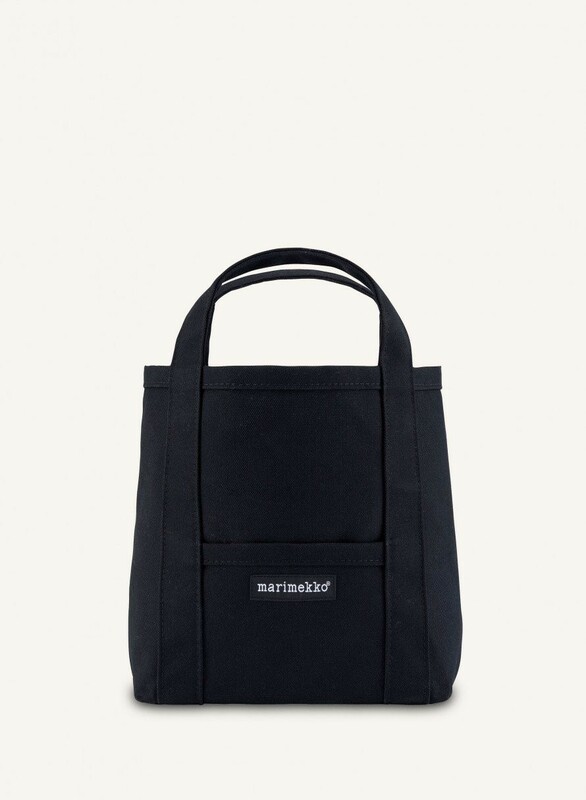 Fitting: Normalt Fit. Height of model: 181 cm. Size the model is wearing: M. Length of product in size M/38: 110.00 cm. Main Material: 100 % Cotton. Pattern: Tasaraita. Pattern Designer: Annika Rimala. Color: white, black. Made in: Portugal. Product code: 046136. Color ID: 068. Series: Tasaraita jersey. 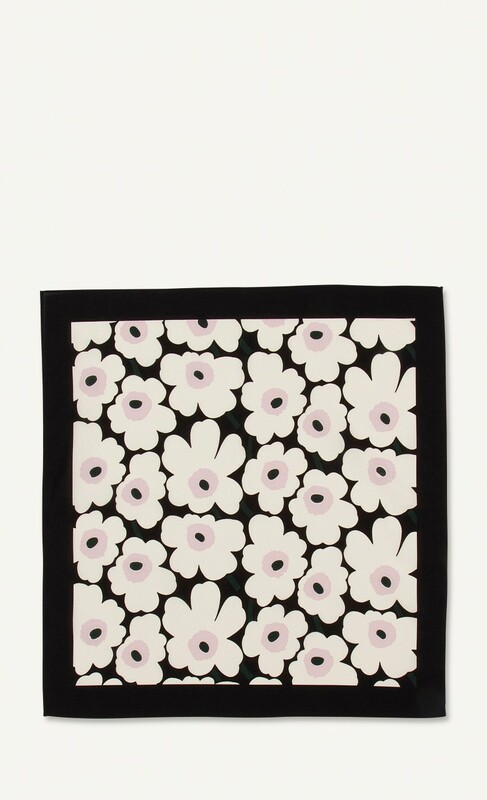 Marimekko – Taisa Mini Unikko Scarf. The beautiful Taisa scarf is made of cotton and it has a black, light beige and light pink Mini Unikko pattern that has been printed in Helsinki. Width: 55.00 cm. Height: 55.00 cm. Main Material: 100 % Cotton. Pattern: Mini unikko. Pattern Designer: Maija ja Kristina Isola. 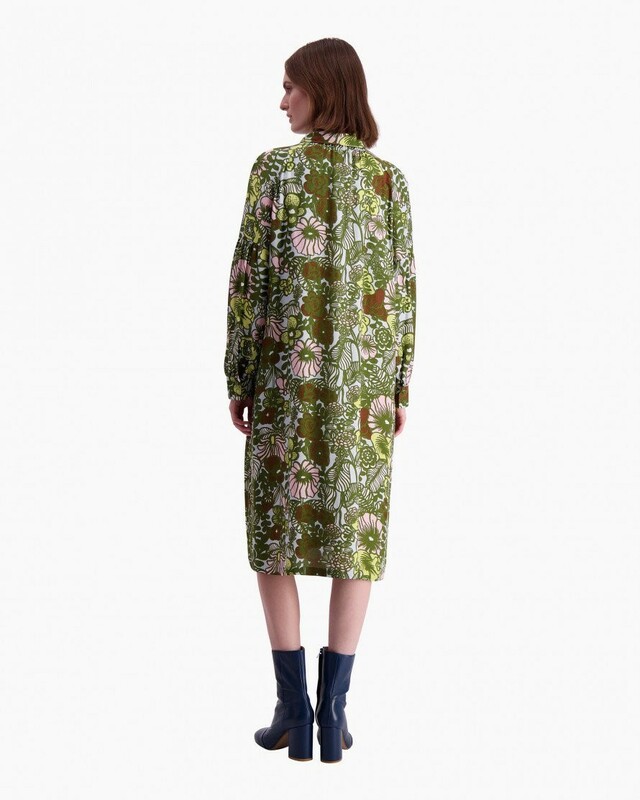 Designer: Marimekko. Color: black, l.beige, l.pink. Made in: Estonia. Product code: 045811. Color ID: 913. Series: Mini unikko cotton scarves. 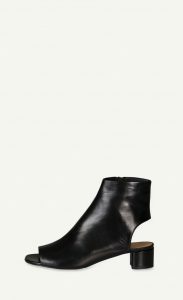 Marimekko – Pollina ankle boots. 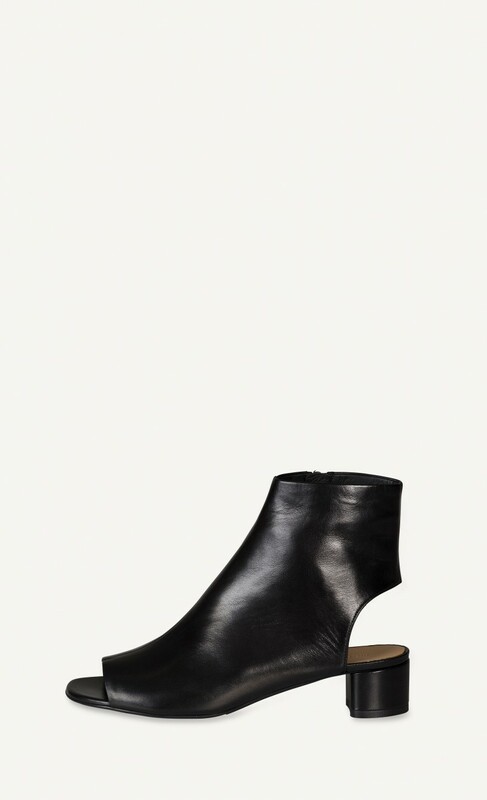 Make a statement in these black leather open toe ankle boots. 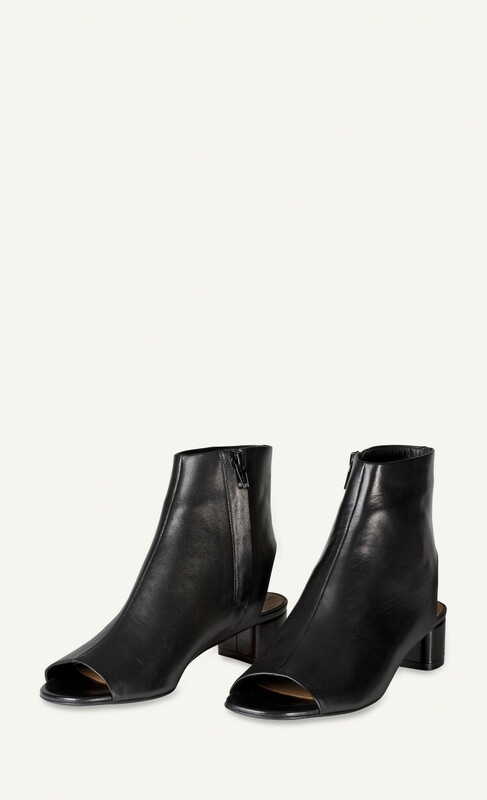 The boots have a side concealed zipper closure and a seam runs up the front from the toes to the top of the boot. The heel is 4,4 cm high. Available sizes: 36-41. 100% leather. Designer: Nina Christen. Color: black. Made in: Italy. Product code: 045763. Color ID: 009. Series: 181 shoes.